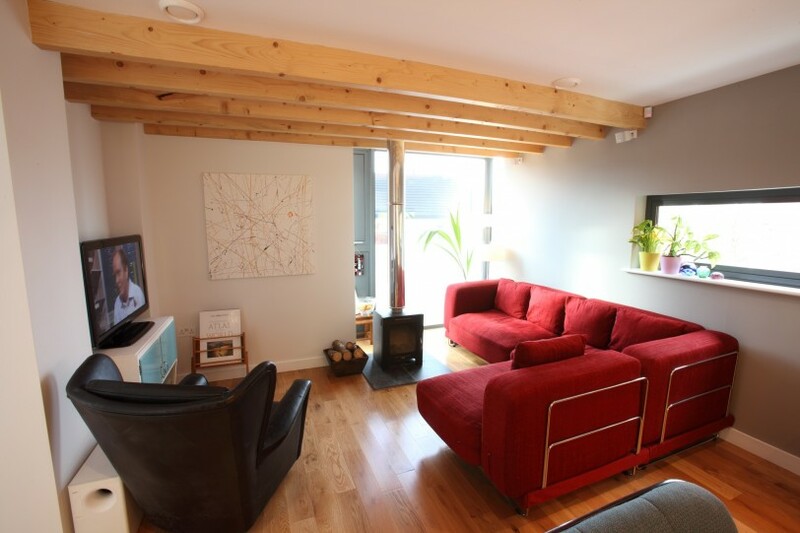 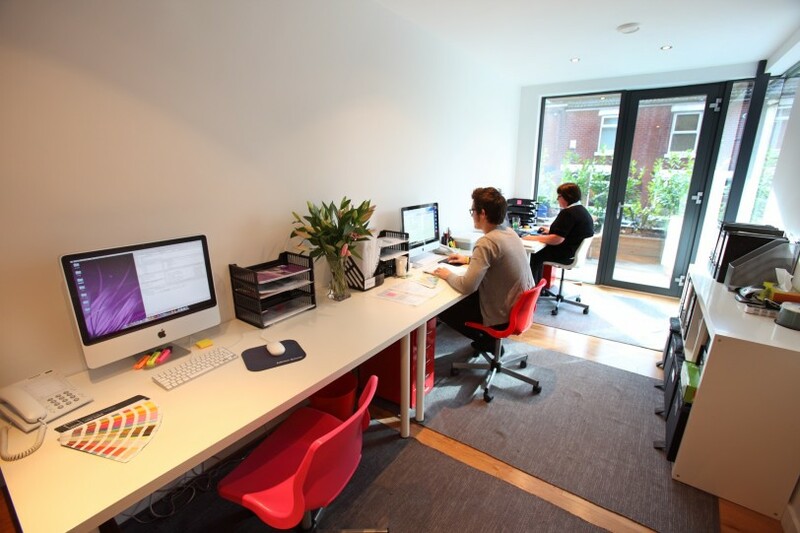 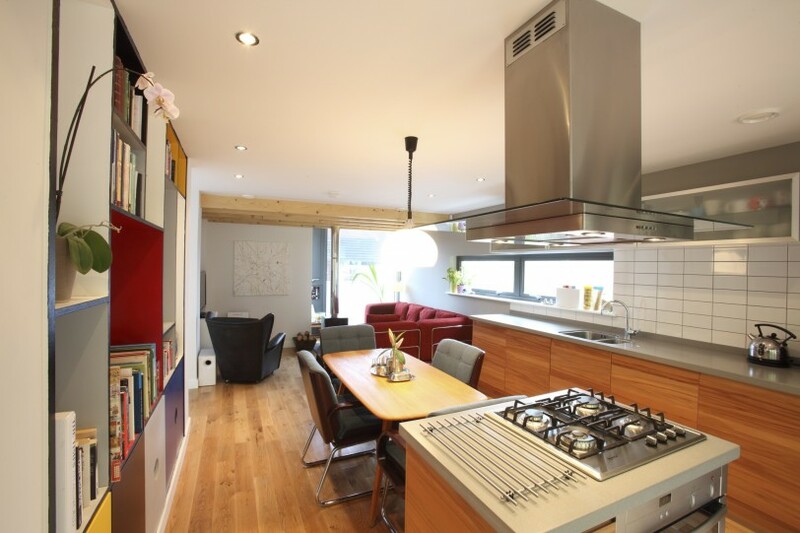 A modern, yet sensitive 3 bed terraced house. 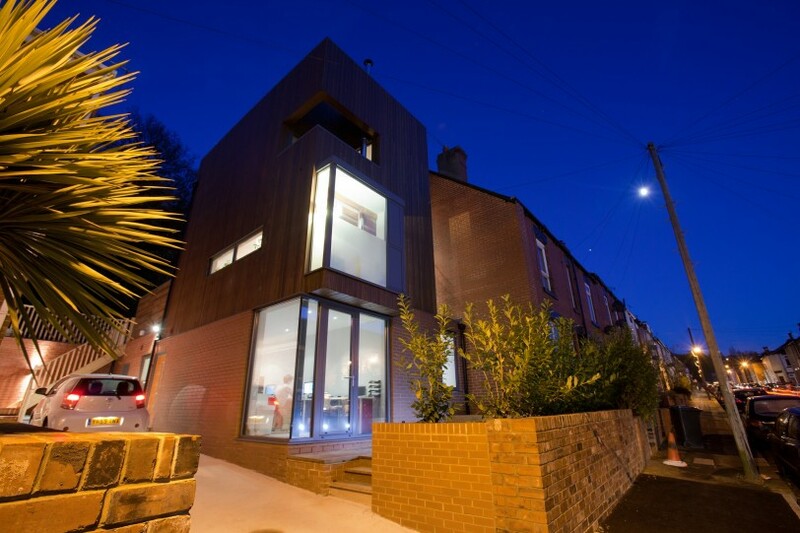 The Hunt House came about after the young couple who owned the site had seen the recently completed Halliday Clark scheme, Fleetham House, in a nearby district of Sheffield. 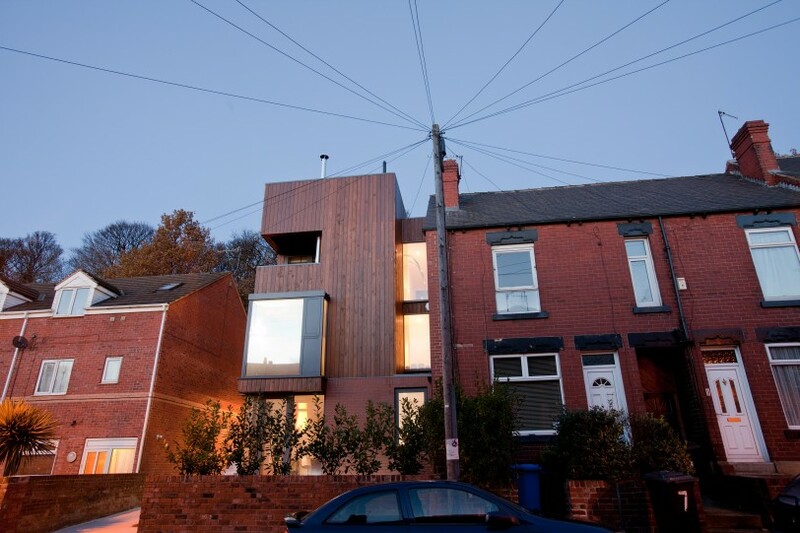 Having gained a “Delegated Powers” approval through planning, the 3-bedroomed dwelling with home office was completed to Code 4 Sustainable Homes’ standard using a SIPS panel form of construction. 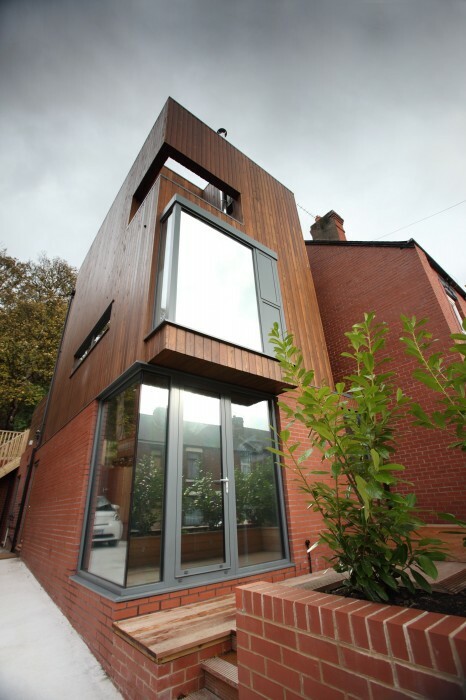 The scheme won the self-build category of the Telegraph Homebuilding and Renovating Magazine Awards 2011.